一种在包括多个网络节点的无线网状网络中自适应地调度通信的方法，包括：基于该无线网状网络的拓扑产生网络路由方案，产生用于该无线网状网络的通信调度表，并且响应于检测到所述多个网络节点中的至少一个网络节点的发送要求的变化，自动更新所述通信调度表。 A method of communicating in a wireless mesh network comprises a plurality of network nodes adaptively scheduling, comprising: generating a network topology based routing scheme of the wireless mesh network, generates a communication schedule for the wireless mesh network, and in response to the transmission request of the at least one network node detects that the plurality of network nodes changes, automatically updating the communication schedule. 产生通信调度表的措施包括定义预定持续时间的通信时隙并且定义多个超帧作为一定数目的被连续调度的通信时隙的重复循环。 Measures generates a communication schedule includes defining the predetermined communication slot duration and defining a plurality of repeating cycles of a superframe as a certain number of communication slot is continuously scheduled. 换句话说，该连接表可以列出一个或更多与特定图对应的直接无线连接65。  In other words, the connection table may list one or more direct wireless connection corresponding to a particular FIG. 65. 例如， 网络设备316可以询问该连接表并且经由直接无线连接346或348发送携带图标识符340 的包。 For example, network device 316 may query the connection 346 or connection table 348 and transmits the identifier 340 of FIG carrying packet via direct wireless. 如图在10中和以上表中所示出的，可以通过将超过一个的邻居与同一图标识符相关联来建立冗余路径。  FIG. 10 shown in the above table and, redundant paths may be established by more than one neighbor associated with the same identifier FIG. 因此，到达网络设备316并且将图标识符340包含在包头和包尾中的数据包可以被路由到网络设备318或路由到网络设备342。 Thus, the network device 316 and the arrival FIG identifier 340 contained in the packet header and trailer may be routed to the network device 318 to network device 342 or routing. 在执行路由操作的同时，网络设备316可以凭借图标识符340在该连接表中执行查找，并且发送包到网络设备318或342中的任一个（或两者）。 While performing routing operations, the network device 316 may perform a lookup 340 with the identifier FIG connection table and send the packet to any network devices 318 or 342 (or both). 而且，两个或更多可能的跳之间的路由选择可以是随机的或者根据预定算法来实施。 Moreover, two or more routing hops possible between random or may be implemented in accordance with a predetermined algorithm. 例如，可以考虑负载均衡目的或者鉴于传递统计进行该选择。 For example, load balancing may be considered in view of the object or transmitted for the selection statistics. 因此，网络设备316可以通过对等网络设备或从网络管理器27获知，在沿图340路由包时，选择网络设备318作为下一跳具有较低的成功传递该包的概率或者在传递中具有较长的预期或平均延迟。 Thus, the network device 316 can be known by the peer network device from the network manager or 27, when the packet along the route 340, the network device 318 to select a lower probability of having hops successful delivery of the packet as the next in transit or have longer expected or average delay. 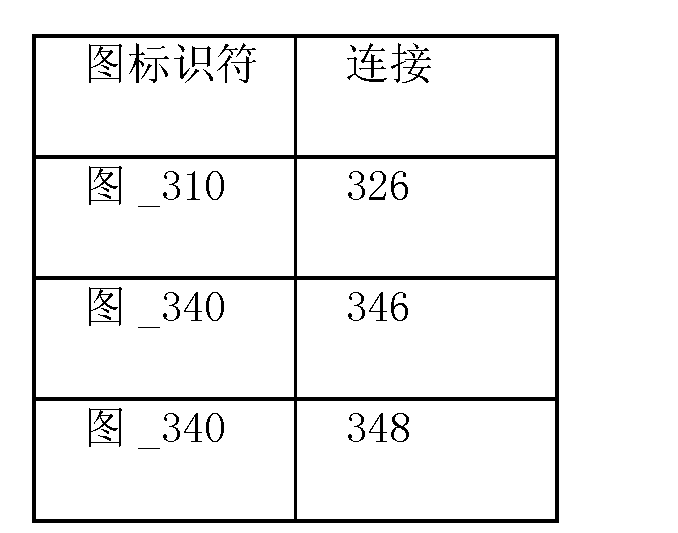 然后，网络设备316可以尝试将更多或可能所有与图340相关联的包路由到网络设备342。 Then, the network device 316 may attempt to more or FIG. 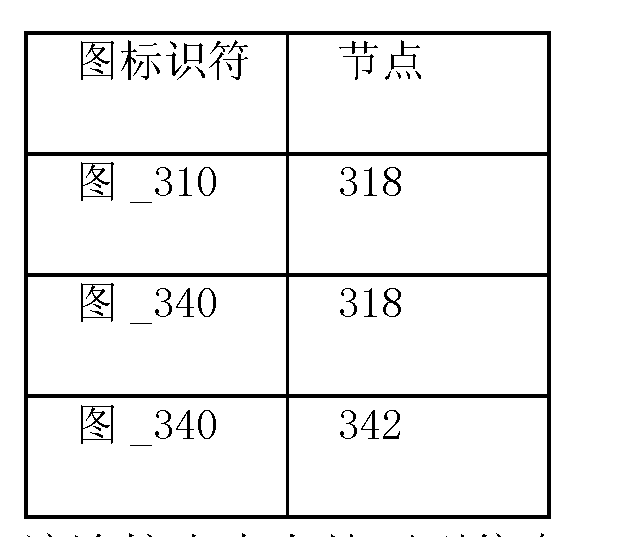 340 may be all associated to the packet routing network device 342. 1. 一种在包括多个网络节点的无线网状网络中进行自适应地调度通信的方法，该方法包括：基于所述无线网状网络的拓扑产生网络路由方案，包括：基于相应的无线信号的强度、源网络节点和目的网络节点之间的最小跳数或者所述相应的无线信号的质量中的至少一项，定义所述多个网络节点中的网络节点对之间的多个直接无线连接；和生成多个有向图，每个图连接源节点和目的节点，并且包括所述多个直接无线连接中的一个或更多直接无线连接；产生针对所述无线网状网络的通信调度表，包括：定义预定持续时间的通信时隙；将所述通信时隙分配给包括在用于发送或接收数据至少之一的所述多个网络节点中的特定网络节点；以及将多个超帧定义为特定数目的被连续调度的通信时隙的重复循环，所述特定数目的被连续调度的通信时隙包括分配给所述 1. A method of adaptively scheduling communications in a wireless mesh network comprises a plurality of network nodes, the method comprising: generating a network topology based routing scheme of the wireless mesh network, comprising: a radio signal based on the corresponding the minimum number of hops between the quality of the strength, the source network node and a destination network node or the radio signals corresponding to at least one of the plurality of direct wireless network between a plurality of nodes defining the network nodes connection; and a plurality of generating a directed graph, each showing the connection source node and destination node, and comprising a plurality of said direct wireless connection or more direct wireless connection; generation communication scheduling for the wireless mesh network table, comprising: defining a predetermined duration of communication slots; said communication slots assigned to a particular network node comprises a plurality of network nodes for the data transmission or receiving at least one; and a plurality of ultra- frame is defined as a certain number of repeated cycles to be continuously scheduled time slots for communication, the specific number is continuously scheduled communication slots comprising assigned to the 定网络节点的所述通信时隙；以及响应于检测到所述多个网络节点中的至少一个网络节点的发送要求的变化，自动更新所述通信调度表。 The communication slot of a given network node; and sending a response requires at least one network node to detecting the plurality of network nodes changes, automatically updating the communication schedule. 2.根据权利要求1所述的方法，其中检测到所述多个网络节点中的至少一个网络节点的发送要求的变化包括：检测到下列至少一种：在所述多个网络节点中添加了新网络节点或从所述无线网状网络中去除了所述多个网络节点之一。 2. The method according to claim 1, wherein the change in the transmission requirements of at least one network node detects that the plurality of network nodes comprising: detecting at least one of the following: adding the plurality of network nodes to the new network node or one of said plurality of network nodes except from the wireless mesh network. 3.根据权利要求1所述的方法，其中所述多个网络节点中的至少一些网络节点是在过程控制环境中运行的无线现场设备；并且其中生成多个有向图包括：将所述多个有向图中的各个有向图的源节点或目的节点之一与将所述无线网状网络连接到工厂自动化网络的网关进行关联。 3. The method according to claim 1, wherein at least some of the plurality of network nodes of the network nodes is a wireless field device operating in the process control environment; and wherein the plurality of generating a directed graph comprises: a plurality of said there will be a connection to associate each of the figures there are one source node to the destination node or a graph of the wireless mesh network to factory automation network gateway. 4.根据权利要求1所述的方法，其中生成多个有向图包括：针对所述多个有向图中的各个有向图，生成所述源节点和所述目的节点之间的冗余图，该冗余图具有至少一个直接无线连接不同于与所述有向图相关联的直接无线连接中的各个直接无线连接，并且其中检测到所述多个网络节点中的至少一个网络节点的发送要求的变化包括：检测到与有向图所关联的所述多个网络节点中的该网络节点的通信存在故障；并且利用与所述有向图相对应的冗余图对指示该故障的消息进行路由。 4. The method according to claim 1, wherein the plurality of generating a directed graph comprising: a directed graph in each of the directed graph generated redundancy between the source node and the destination node for the plurality of FIG., the redundancy pattern having at least one network node is different from the at least one direct wireless connection to the respective direct wireless connection with a direct wireless connection to the associated drawings, and wherein detection of said plurality of network nodes change transmission request comprises: detecting the presence of a fault with the network node to the communication network of the plurality of nodes associated with the drawing; and the use of the corresponding directed graph redundant indication of the failure of FIG. message routing. 5.根据权利要求1所述的方法，其中自动更新所述通信调度表包括：在所述多个网络节点中共享直接无线连接的网络节点对之间周期性地交换保持有效消息；将指示特定直接无线连接出现故障的路径故障指示传播到网络管理器，该网络管理器负责更新该无线网状网络中的网络路由方案和通信调度表；以及将所述特定直接无线连接从所述网络路由方案中去除。 The method according to claim 1, wherein automatically updating the communication schedule comprising: a shared periodically exchanging keep-alive messages between network nodes is directly connected to the plurality of wireless network nodes; indicating specific a direct wireless connection failed path fault indication propagated to the network manager, the network manager is responsible for updating the wireless mesh network and the communication network routing program schedule; and direct wireless connection to the particular routing scheme from the network removed. 6.根据权利要求1所述的方法，其中定义多个超帧包括：基于所述网络节点中的至少一些网络节点的更新速率，定义所述多个超帧中的至少一些超帧的长度。 6. The method according to claim 1, wherein defining the plurality of superframes comprising: a rate based on at least some of the network nodes update the network nodes, defining the length of at least some of the plurality of superframe superframe. 7.根据权利要求6所述的方法，其中自动更新所述通信调度表包括：检测到所述多个网络节点之一的带宽要求的暂时性增加，所述带宽要求的暂时性增加用于由所述多个网络节点之一发送额外的数据；以及生成用于传输与所述带宽要求的暂时性增加相关联的业务的超帧。 7. The method according to claim 6, wherein automatically updating the communication schedule comprising: detecting a transient increase in the bandwidth requirements of one of the plurality of network nodes, the bandwidth requirements for the transitory increase one of said plurality of network nodes transmit additional data; and generating the bandwidth requirements for transmission and a temporary increase in traffic superframe associated. 8. —种在包括多个网络节点的无线网状网络中自适应地调度通信的方法，其中所述多个节点中的至少一些节点是在过程控制环境中运行的现场设备，该方法包括： 产生针对所述无线网状网络的通信调度表，包括： 定义预定持续时间的通信时隙； 将多个超帧定义为特定数目的被连续调度的通信时隙的重复循环；以及将所述场设备中的各个现场设备与所述多个超帧中的至少一个超帧进行关联，包括：基于在所述现场设备处的过程数据的调度公布的速率，从所述多个超帧中选择至少一个超帧； 定义所述现场设备和多个网络接入点之间的多个有向图，所述多个网络接入点与将该无线网状网络连接到外部网络的网关设备相关联；其中： 所述多个有向图中的各个有向图与至少一个通信时隙相关联， 所述至少一个通信时隙包括在对应于与所述多个有向图中的 8. - The method of adaptively scheduling communications in a wireless mesh network comprises a plurality of types of network nodes, wherein at least some of the plurality of nodes in the process control field devices in the operating environment, the method comprising: generating a communication schedule for the wireless mesh network, comprising: defining the predetermined communication slot duration; a plurality of superframes is defined as a certain number of cycles repeated consecutively scheduled communication time slots; and said field the respective field device with the plurality of devices in at least one superframe superframe association, comprising: a rate based on a scheduling procedure at the field device data released from said plurality of selecting at least superframe a superframe; defined between said plurality of field devices and a plurality of network access points directed graph, the plurality of network access points and the wireless mesh network is connected to an external network associated with the gateway device; wherein: said plurality of each of the directed graph with a directed graph associated with the at least one communication slot, said at least one communication slot comprises a plurality of corresponding to the directed graph has 个有向图相关联的相应的现场设备的至少一个超帧中， 对应于相应的现场设备的所述至少一个超帧包括在所述多个超帧中，并且所述多个有向图中的所述各个有向图独立地支持到所述网关设备的通信路径；以及响应于检测到所述无线网状网络的性能的变化，在无需重启所述无线网状网络的情况下自动更新所述通信调度表。 A field device corresponding to FIG associated with the at least one super frame, corresponding to the respective field device to the at least one superframe comprising a plurality of the super-frame, and the plurality of digraph each independently have the support of the communication path to FIGS gateway device; and in response to detecting the change in performance of the wireless mesh network, automatically updated without restarting the wireless mesh network the said communication schedule. 9.根据权利要求8所述的方法，进一步包括：通过沿一个或更多直接无线连接收集与网络节点对之间的数据包传输相关的统计数据，监测所述无线网状网络的性能，每个直接无线连接连接所述多个网络节点中的两个网络节点。 9. The method according to claim 8, further comprising: statistical data along one or more data packet transmitted between a direct wireless connection with the network node to collect the relevant monitoring of the performance of the wireless mesh network, each a direct wireless connection to the plurality of network nodes connected to two network nodes. 10.根据权利要求9所述的方法，其中收集统计数据包括下列步骤中的至少一个：对在所述多个网络节点中的至少一对网络节点之间成功传递的包进行计数、对在所述多个网络节点中的各个网络节点处接收的包进行计数、对在所述多个网络节点中的各个网络节点处发送的包进行计数以及计算与所述多个网络节点中的至少一对网络节点之间的数据包传递相关联的延迟。 10. The method according to claim 9, wherein collecting statistics comprises at least one of the following steps: at least one pair of packets between network nodes in the plurality of network nodes counted successful delivery, the pair each of said plurality of network node the network node receives a packet counts, packet transmission in each network node of the plurality of network nodes at least one pair of counter and calculating the plurality of network nodes packet transmission delay associated between network nodes. 11.根据权利要求9所述的方法，其中所述方法进一步包括：生成针对所述无线网状网络的路由方案，包括： 定义所述现场设备和将所述无线网状网络连接到外部网络的网关设备之间的多个有向图；以及其中收集与网络节点对之间的数据包传输相关的统计数据包括：独立地维护针对所述多个有向图中的各个有向图的独立统计值。 11. The method according to claim 9, wherein said method further comprising: generating a routing scheme for the wireless mesh network, comprising: defining the field device and the wireless mesh network is connected to an external network a plurality of gateway devices between the directed graph; and wherein the packet transfer between network nodes and collection of statistics related comprises: maintained independently of the digraph for each of said plurality of separate statistics to FIG. value. 12.根据权利要求9所述方法，其中检测到所述无线网络的性能的变化包括： 从所述多个网络节点中的至少一些网络节点收集健康报告，其中来自网络节点的每份健康报告包括与该网络节点和所述多个网络节点中的其它网络节点之间的直接无线连接相关的数据；以及确定相对于之前的健康报告而言该网络节点处可用的直接无线连接的变化。 12. The method of claim 9, wherein the detected change in performance of the wireless network comprising: collecting health reports from at least some of the plurality of network nodes in the network nodes, wherein each node of the network health from the report comprises connected to the data related to the network node and a plurality of other direct wireless connection between the network nodes; and determining the change in the network node available in terms of health direct wireless connection with respect to previously reported. 13.根据权利要求8所述的方法，其中检测到所述无线网状网络的性能的变化包括：从所述多个网络节点中的一个网络节点接收到请求改变带宽分配的消息。 13. The method according to claim 8, wherein detecting the change in performance of a wireless mesh network comprising: receiving from the plurality of network nodes in a network node a message requesting a change in bandwidth allocation. 14. 一种优化无线通信网络中的数据传输的方法，该无线通信网络在过程控制环境中运行并且包括多个无线网络设备，该方法包括：产生包括多个有向路由图的路由方案，每个有向路由图连接所述多个无线网络设备中的两个无线网络设备，并且具有源节点和目的节点，包括：定义所述多个网络设备中的网络设备对之间的多个直接无线连接；以及将所述多个有向路由图中的各个有向路由图与一个或更多直接无线连接进行关联；产生针对所述无线网状网络的通信调度表，包括：定义预定持续时间的通信时隙；将多个超帧定义为特定数目的被连续调度的通信时隙的重复循环；以及将所述现场设备中的各个现场设备与所述多个超帧中的至少一个超帧进行关联，包括：基于在所述现场设备处的过程数据的调度公布的速率来选择所述多个超帧中的至少一个超帧； 14. A method of optimizing data transmission in a wireless communication network, and the wireless communication network comprises a plurality of operating a wireless network devices, the method comprising a process control environment: generating comprises a plurality of routing scheme to route maps, each a connection route to the wireless network device of FIG two of said plurality of wireless network devices, and having a source node and a destination node, comprising: a plurality of direct wireless defined between said plurality of network devices of the network device ; and a plurality of the associate have a route to each drawing to FIG route with one or more direct wireless connection; generates a communication schedule for the wireless mesh network, comprising: defining a predetermined duration communication slot; and a plurality of super-frame is defined as a certain number of cycles repeated consecutively scheduled communication slots; field device and the field device and the respective at least one of the plurality of superframes superframe association, comprising: selecting based on the plurality of at least one superframe superframe rate scheduling procedure at the field device data released; 以及通过至少监测所述多个直接无线连接中的各个直接无线连接的健康，优化在所述无线网络的运行期间的路由方案和通信调度表。 And the route plan and schedule during communication in the wireless network by monitoring the operation of at least said plurality of direct wireless connection healthy individual direct wireless connection optimization. 15.根据权利要求14所述的方法，其中监测所述多个直接无线连接中的各个直接无线连接的健康包括：从与所述直接无线连接相关联的两个网络设备中的至少一个网络设备接收健康报告；以及在所述健康报告指示信号电平低的情况下，不定义所述直接无线连接。 15. The method according to claim 14, wherein said plurality of monitoring health is directly connected to the respective wireless direct wireless connection comprising: at least one network device connecting two network devices associated with the direct radio from receiving health reports; and indicating the low signal level in the case where the health report, does not define a direct wireless connection. 16.根据权利要求14所述的方法，其中优化在所述无线网络的运行期间的路由方案和通信调度表包括：通过电池供电的网络设备路由比通过能使用恒定电源的网络设备路由的数据少的数据。 16. The method according to claim 14, wherein the routing optimization scheme and communication schedule during operation of the wireless network comprising: a routing apparatus can be used a constant ratio by the power supply network data routing device with a small battery-powered network The data. 17.根据权利要求14所述的方法，进一步包括：响应于从所述多个网络设备之一接收到请求，分配额外的带宽。 17. The method of claim 14, further comprising: in response to receiving from one of said plurality of network devices to request allocation of additional bandwidth. 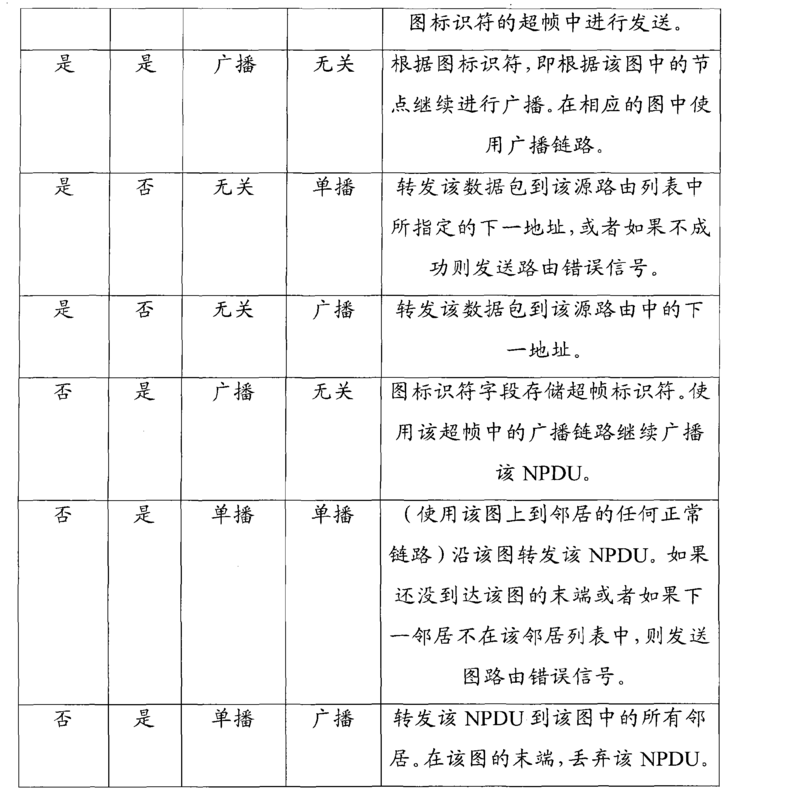 18.根据权利要求14所述的方法，进一步包括：响应于从将所述无线通信网络连接到工厂自动化网络的网关接收到请求，分配额外的带宽；其中所述网关请求额外的带宽以建立外部应用程序和所述多个网络设备之一之间的数据通道。 18. The method of claim 14, further comprising: in response to a communication from the wireless network to factory automation network gateway receives the request, allocating additional bandwidth; wherein the gateway to establish the additional bandwidth request external one data channel between the application and the plurality of network devices. 19.根据权利要求18所述的方法，其中分配额外的带宽包括：生成暂时性超帧，以供所述多个网络设备之一使用，其中所述暂时性超帧的长度比与在所述多个网络设备之一处的过程数据的调度公布速率相对应的超帧的长度短。 19. The method of claim 18, wherein the additional bandwidth allocated comprising: generating a temporary superframes for use by the one of the plurality of network device, wherein the temporary superframe length and the ratio of length of scheduling rate announcement process at one network device of the plurality of data corresponding to the short superframe. MX2013014613A (en) * 2011-06-14 2014-02-17 Abb Research Ltd Dynamic assigning of bandwidth to field devices in a process control system. ES2292847T3 (en) 2001-09-27 2008-03-16 Telefonaktiebolaget Lm Ericsson (Publ) Routing method for multi-hop WLAN distributed networks.